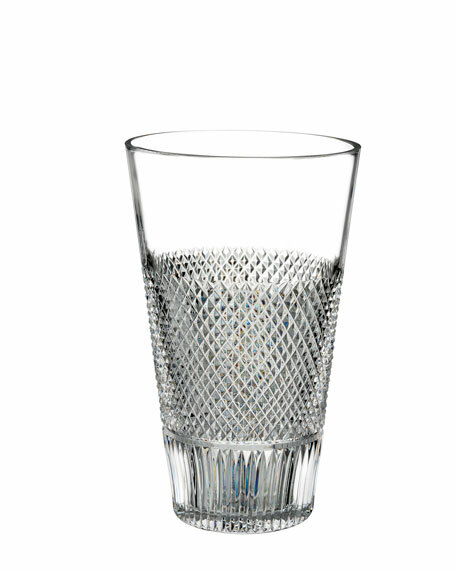 Waterford Crystal Diamond Line Crystal Vase - 8"
Waterford CrystalDiamond Line Crystal Vase - 8"
Diamond Line features intricate caro cutting to create tight, crosshatched wedge cuts for an amazing sparkle. A special cut border design showcases this beautiful intricate pattern. Featuring a modern, flared shape, the Diamond Line 8" Vase makes a show stopping presentation for any floral arrangement.